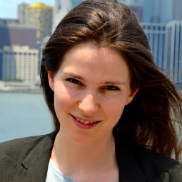 Sophie Pilgrim is France24.com’s New York and UN correspondent. She previously wrote ‘The French Observatory’ in Paris. Amassing the world’s movers and shakers in one place, the UN General Assembly makes it easy to assess the global ratio of men and women in power. Hibaaq Osman, a women’s rights advocate from Somalia, is doing just that. A caricature exhibition seeking to remind consumers of the dismal labour conditions that allow for absurdly low prices of goods has opened at the UN. It’s here because the Twin Towers are not, but don’t mention that when you visit the three-floor observatory at the top of the new World Trade Center tower. Four years after DSK, what became of the Sofitel housekeeper? Revelations in a Lille courtroom this week suggest that Dominique Strauss-Kahn’s “libertine” lifestyle left a longer trail of victims than he might have realised. Tis the season for a gang of wasted people dressed up as Santa to take over New York. A Frenchman has become the latest tourist to embarrass the New York security apparatus by managing to scale the Brooklyn Bridge. A women-only taxi service has launched in New York after facing legal complications over its discriminatory policy. SheRides is now legally acceptable, but is it good for women? The midterms, a colossal waste of money? Republicans clinched control of the US Senate on Tuesday, unseating Democratic Senators in at least six states in a predictable midterm result that will see President Barack Obama spend his last two years in office with a Republican-run Congress. Young Americans really don’t like voting, apparently. A non-partisan, non-profit group has been trying to lure them with the likes of Madonna, Justin Timberlake and even Ricky Martin (really?) for the past 25 years. As correspondents rush between speakers, interviews and deadlines at the UN General Assembly, there was one event on the agenda that provoked a collective eye-roll. François Hollande’s $1 billion pledge to the climate struggle on Tuesday is part of an ambitious drive by the French government to save the world from self destruction, with Environment Minister Ségolène Royal suggesting that nobody else is up to it. As world leaders pour into New York for the United Nations General Assembly, mid- Manhattan has returned to its annual state of high-security labyrinth, entire blocks removed of tourists and overrun instead with badges, sunglasses and suits. What to expect of July 4th? Noise, fireworks and an excess of red white and blue, I imagined. Apparently, I was too late for the party. Years too late. I’m enjoying this World Cup more than the last. Not because my national team is doing well - it’s England, they’re out already - but because I’m watching this tournament from America. Billet: Four years after DSK, what became of the Sofitel housekeeper? DSK, my kind of guy.